The official website for 26-year-old voice actress Riho Iida has started streaming a short version music video for her 4th single song "Itsuka Sekai ga Kawaru made" (Until the world changes someday). The song is now featured as the ED theme for the fall 2018 TV anime Boarding School Juliet, in which she is also cast as Shizuka Shishi. In the clip, she shows her portrayals as Showa-style idol singer on TV and private detective who is chasing a stray cat. Iida is best known as Rin Hoshizora in the Love Live! franchise and as a member of its VA unit μ's. After releasing three solo singles from Tokuma Japan in 2016, she changed her record company to NBCUniversal Entertainment Japan in February 2018. 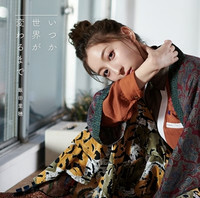 Her first single from NBCUniversal, "Itsuka Sekai ga Kawaru made" is set to be released on November 7, 2018.